Sculpture Size: 9 X 3.75 X 4.5 in. 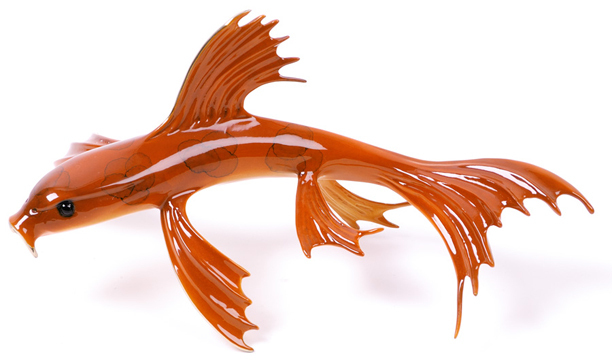 "Enforcer” is one of Tim Cotterill’s series of butterfly koi. With a great orange patina on top and a kind of creamsicle-colored belly patina, "Enforcer” would be an elegant addition to your home.